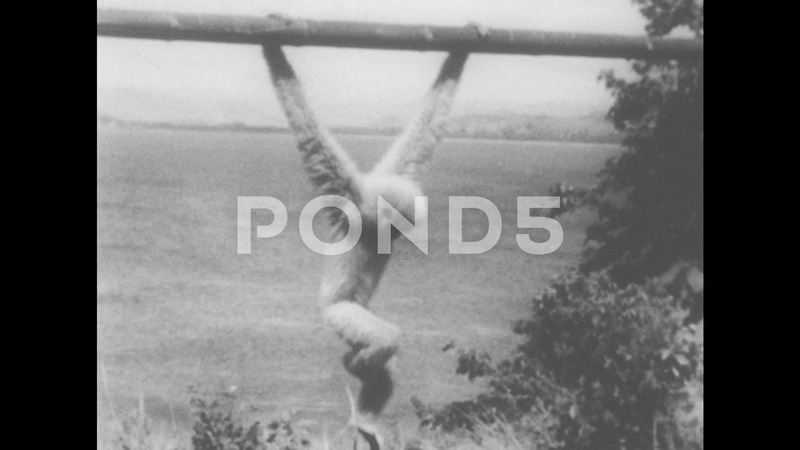 Description: 1940s: Primate Hangs From Pole. Primate Swings Forward Across Pole. Primate Moves In Opposite Direction. Boat In Background.